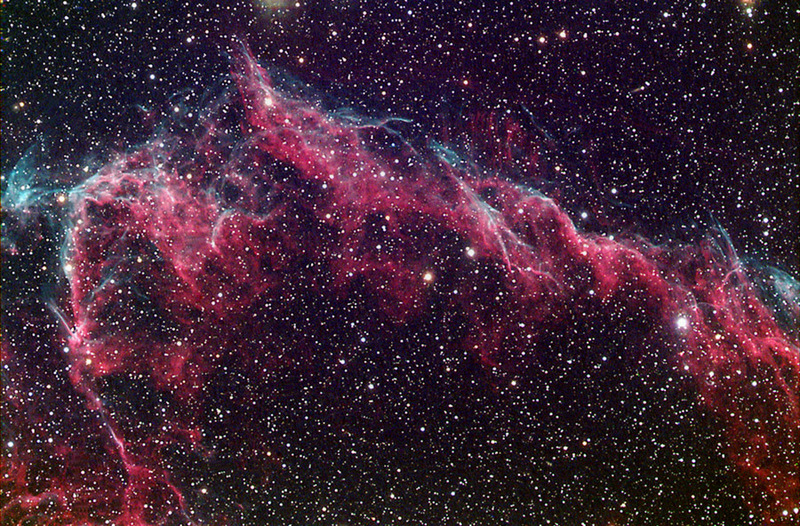 Explanation: After 5,000 years, the gorgeous Veil Nebula is still turning heads. Cataloged as NGC 6992, these glowing filaments of interstellar shocked gas are part of a larger spherical supernova remnant known as the Cygnus Loop or the Veil Nebula -- expanding debris from a star which exploded over 5,000 years ago. This color digital image of a bit of the Veil has been processed and enhanced to reveal stunning details in the diaphanous cosmic cloud. 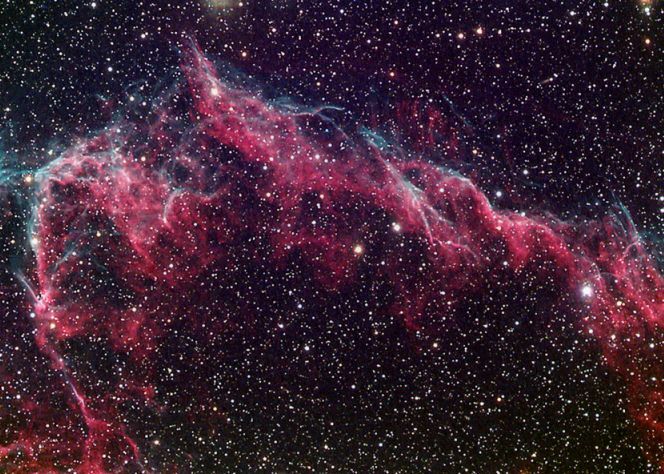 Seen from our perspective against a rich Milky Way star field, the Veil Nebula is now known to lie some 1,400 light-years away toward the constellation Cygnus. At that distance, witnesses to the original stellar explosion would have seen a star in the heavens increase in brightness to about -8 magnitude, roughly corresponding to the brightness of the crescent Moon.